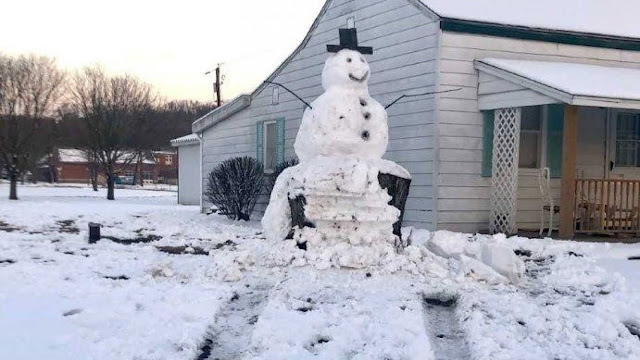 In Kentucky some people built a 9-foot-tall snowman. At night a local driver decided to ram the snowman with his truck. The snowman had been built around the trunk of a dead tree. My husband is from Brazil, so a few years ago, after a heavy snow, we spent a solid hour building his first snowman outside our apartment. We went inside for a cup of hot cocoa, and when we went back outside, we were dismayed to see two children (8-10) destroying our snowman to the glee of their parents. I don't know what it is about a snowman that some people see as an invitation to destruction, but it's really disheartening.